ECS has integrated safety into our culture by developing it as a value, not just a priority. While priorities may change, values do not. Our STAR program is a behavior-based process in which employees observe coworkers regularly to reinforce good safety practices, as well as identify and correct unsafe practices that might lead to injury. Each office has a trained Safety Officer who oversees their STAR Safety program, trains new employees in the STAR process, conducts frequent safety meetings, promotes participation by all employees and performs office and field audits. 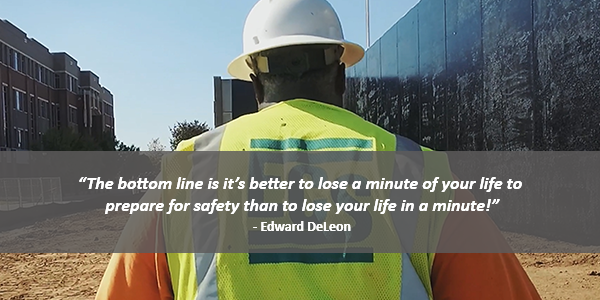 Edward DeLeon has been with ECS since 2003 and is a Senior Field Technician in our Austin, TX office.